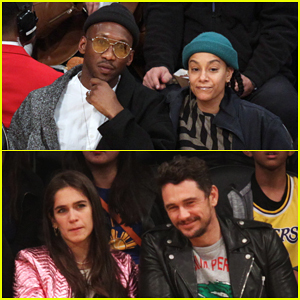 James Franco sat court side last night! 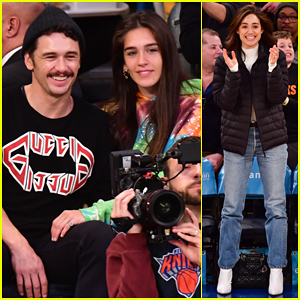 The 40-year-old actor was all smiles while sitting alongside his girlfriend Isabel Pakzad at the Los Angeles Lakers vs. New York Knicks game on the sidelines on Sunday night (March 17) at Madison Square Garden in New York City. Emmy Rossum, Jon Stewart and his 14-year-old son Nathan Stewart were also in attendance as they shared a few laughs and jokes with each other before the New York Knicks’ 124 to 123 win. Last week, James and Isabel were spotted lounging by the pool outside of their hotel while on vacation in Miami Beach. 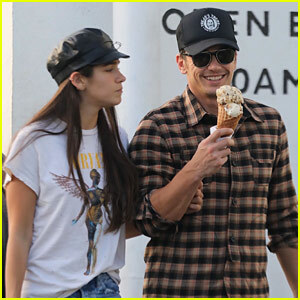 James Franco & Girlfriend Isabel Pakzad Share a Kiss & Ice Cream! 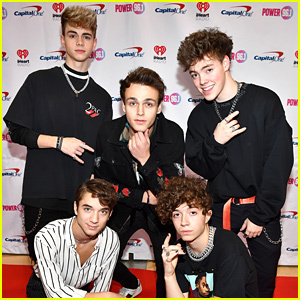 Third time in just Jared this week! Isabel, your only going to be known as the girl who stayed with Franco. You stayed to get famous. 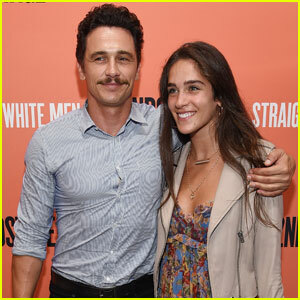 James Franco is a bisexual creep who loves teens. Your to old for him. Thats why I dont buy it. 25 is way to old for him. He like em 19 skinny and BLONDE! 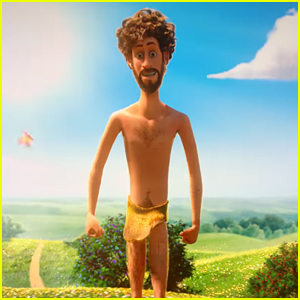 Say hi to james!